Hello all, for some it will be hello again (you might know my previous work for dd1: ddplanner.com). 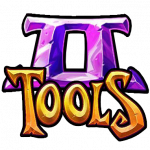 This time, inspired by The End Game Update in Dungeon Defenders 2 I have decided to create tool for sharing hero builds/setups. With shards added, DD2 offers huge amount of hero builds, but with that problems with explaining them to others. Thats why i created this website. I want you to easily find shards you are interested in and build a hero you have or want to get, to share it with others. Unfortunately i couldn’t make it before release day of the patch, but i managed to finish functionality of the shard list. I’ll be adding new shards each day, but because i want to finish hero building tool ASAP i don’t have much time to play (with full time job too), so the website is designed for YOU to add shards! You can help by sending more info to me, simply fill the form on shards page and i will try my best to validate it as soon as i can and publish it. Sign up with social network of your choice to skip this pesky human validation, and to see the status of your sent shards on your user page! I hope you like it, if you have any suggestion or idea, make sure to comment!